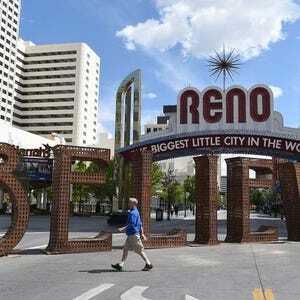 Study: Reno is #2 best market for real estate agents (Vegas is 10). Location, location, location is a popular real estate mantra. Based on one study, Reno real estate agents are apparently at the right place at the right time. The Biggest Little City ranked No. 2 in the nation in SmartAsset’s list of top 10 U.S. cities to be a real estate agent in 2016. The arrival of companies such as Tesla Motors and Switch. Northern Nevada is posting one of the fastest rates of economic growth in the nation, which has led to an influx of new residents. The Silver State was ranked as the second most popular destination in the West for movers, according to the 2015 National Movers Study. Want to learn more? Get it here.